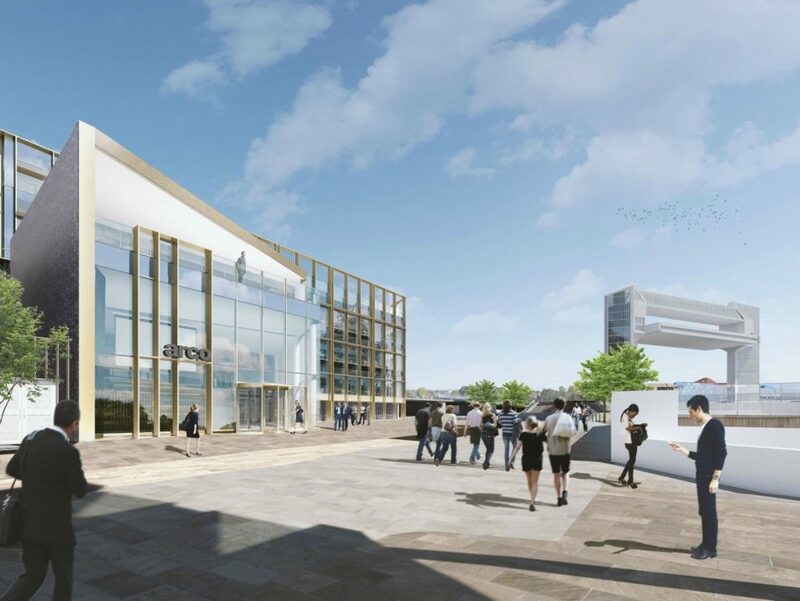 Wykeland Beal, the joint venture company working with Hull City Council to rejuvenate the Fruit Market, has submitted a planning application for the next phase of the regeneration. 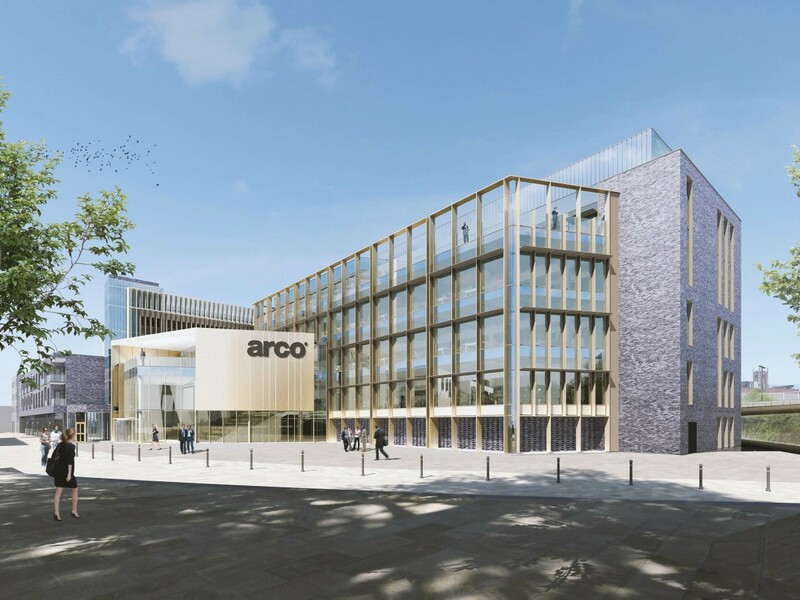 The centrepiece of this £22m phase will be a 55,000 sq ft new headquarters office for one of Hull’s largest private companies, Arco, the UK’s leading safety company. The development will also include a 350 space multi-storey car park, a further 28 residential units and some small retail/leisure units fronting Queen Street and Humber Street. The site between Blackfriargate and Humber Street is currently being used as a temporary car park. The proposals would bring over 500 office, retail and leisure jobs to the regenerated waterfront area plus a large number of construction jobs. The development would return Arco to its roots in Fruit Market – the company opened its original shop in Queen Street in 1893. Arco plans to relocate its headquarters to the Fruit Market from Waverley Street in Hull. Buildings on the existing Arco site are being purchased by Hull City Council, working with Highways England to support the A63 Castle Street improvement works. A computer-generated image of the proposed headquarters building for Arco, which will have views of the River Hull, The Deep tourist attraction and the landmark Hull Tidal Barrier. Dominic Gibbons, Managing Director of Wykeland Group, speaking on behalf of Wykeland Beal, said: “We have been delighted to work closely with such an important Hull business to bring these proposals to the planning stage. These plans are hugely significant as they will secure the future of one of Hull’s leading privately-owned business within the city. David Evison, Managing Director of Arco, said: “Arco opened its first shop in the Fruit Market in 1893 and we’re delighted to be supporting the regeneration of Hull’s waterfront area with the relocation of our offices back to our original site. Councillor Daren Hale, Hull City Council portfolio holder for economic investment and regeneration, said: “Arco moving its headquarters and 500 staff to the Fruit Market will be a significant boost to the area and all the fantastic businesses that operate there. “The relocation is a major part in our long-term vision for the city centre, key to both the regeneration and investment that continues to take place on the Fruit Market, as well as the vital A63 works.